In support of Science, Technology, Engineering and Mathematics education (STEM). Keep manufacturing in the USA. 1st Annual 2016-2017 Winner Selected. This scholarship is to support a student in the pursuit of an Engineering, Physics or another four-year degree. Our team has Alumni engineers from UCSD, SDSU, Mesa and San Diego City Machine Technology program. We engineer, design, test, fabricate and build our equipment on site. Why did you choose Engineering, Physics or your respective major and how do you plan to utilize your knowledge to make a positive impact in your field? Tip. Cut and Paste entries will be overlooked, simple directions to follow. Submit a 300-500 word response to the essay questions at the form on the bottom of this page. $1,000 award to a selected applicant. Submit 300-500 word essay response. Open to All Majors, 2 or 4-year college, with a minimum 2.75 GPA. Recipient must be 18 years old and a U.S. resident. One application per student, submitted online by the specified deadline of January 30th, 2018, at EddyPump.com/engineering-scholarship. Fifty entries min required for scholarship to move forward. Enrollment Verification Form will be required from his or her college. Selected applicants will be notified by email within 30 days of application deadline. EDDY Pump Corporation is a pump and dredge equipment manufacturer, along with being an engineering services company, based in El Cajon, California. 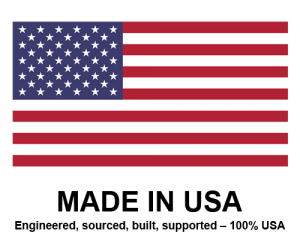 All of the pump and dredge equipment is manufactured at their plant in the USA. EDDY Pump Corporation is a 2nd generation family business that was founded by Ph.D. fluid dynamist and medical doctor, Dr. Harry P. Weinrib in 1984. Dr. Harry P. Weinrib researched the possibility of harnessing the power of a tornado within fluid dynamics. While he practiced reconstructive surgery in one of the largest hospitals in the United States, he worked endlessly trying to capture the synchronized eddy current of a tornado within the fluid dynamics of the EDDY Pump. In 1984, Dr. Weinrib had a breakthrough and a new type of material handling pump was created, The EDDY Pump. For Scholarship questions Email Kurtis.